One of Southeast Asia’s biggest assets: countless beautiful beaches. With great weather year round, fabulous landscapes, fine golden sand and fantastic food and nightlife Southeast Asia’s beaches attract tones of people every year. At the same time, there are so many great beaches that it’s not that hard to find one with just a few tourists around. Beaches in Thailand and Philippines are probably the most popular destinations and they do live up to all the praise. We found ourselves outstanding beaches in Cambodia, Vietnam and Indonesia too. Though each is different they all left us relaxed and happy. Unfortunately we haven’t been to any in Malaysia and Myanmar. We must go soon! 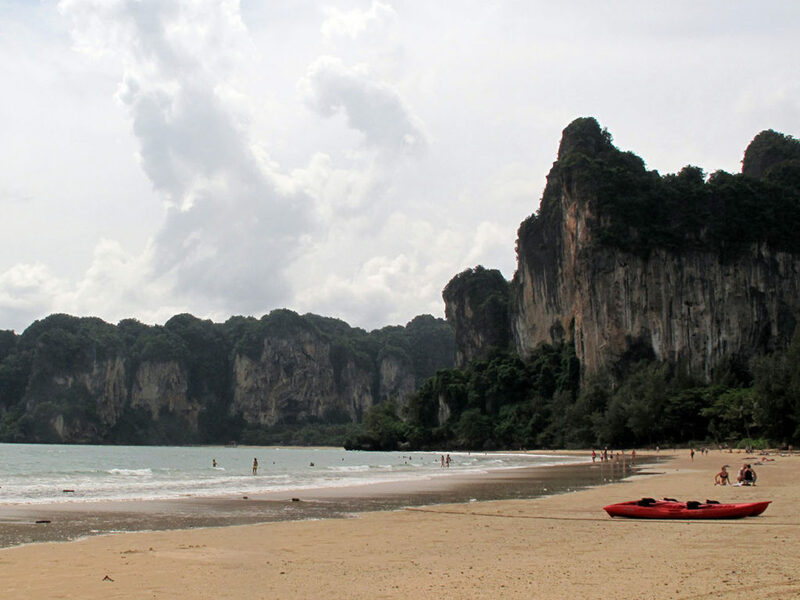 The Railay Peninsula in Krabi is home to one of the coolest beaches in all of Thailand and even Southeast Asia. Massive Karst Mountains separate the peninsula from the land so it can only be accessed by a long tail boat. After an initial shock of arriving completely wet, you’ll be astounded by the beauty of the Railay West beach and the surrounding landscape. There are hotels of all ranges, plenty of bars and restaurants, and great trekking trails. Additionally there are plenty of monkeys freely roaming around. If that’s not enough for you, you can take one of the numerous excursions to the nearby islands! Koh Samui is our least favorite place on this list. Sure, the island is big, and there are plenty of places to visit. But the fact remains that its main beach is sleazy to say the least and it lends a whole negative vibe to the island. If you do decide to visit, there are a couple of great clean and safe beaches, away from the chaos. We stayed at the lovely Chaweng Noi beach, perfectly clean and far enough from the infamous Chaweng beach. Several upscale hotels share the same beach, cleaned regularly by employees. There are plenty of beach bars and restaurants with great food and massages, but it’s not noisy at all. 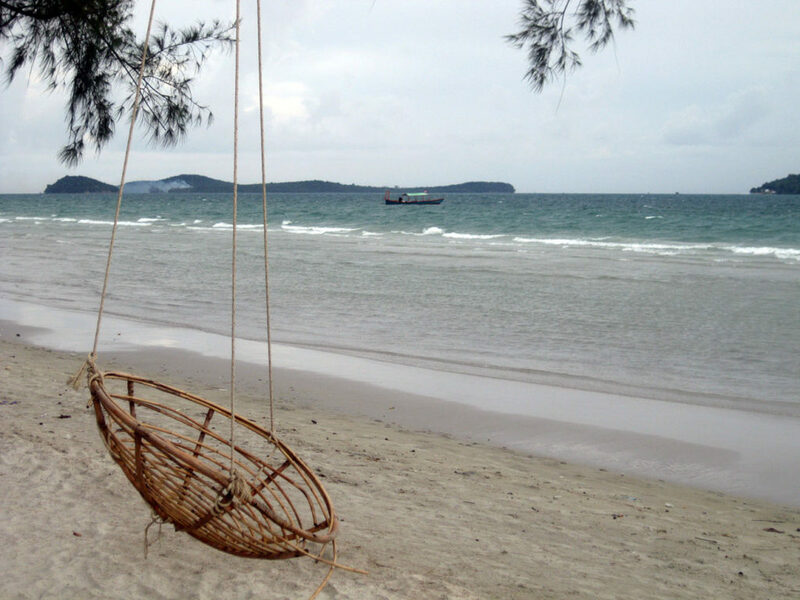 Cambodia’s prime seaside resort of Sihanoukville offers something similar to Samui’s main beach. It is overcrowded and quite noisy. But should that distract you from visiting the area? Absolutely not! There are a couple of incredible beaches close to the city. We stayed at Otres 2 beach, even though Otres 1 is not bad either. Both beaches are absolutely stunning and the sea is clean and warm. There are plenty of nice bungalows and great restaurants in Otres 2. There are no bars and clubs (except for a quiet one) but Otres 1 is just a short tuc tuc ride away if you want some evening fun. We went with our friends from Norway and chilled all day long. One night a fantastic summer storm with lightning and thunder delighted us. If Otres 2 beach is not exotic enough for you, you should head to one of the islands in front. 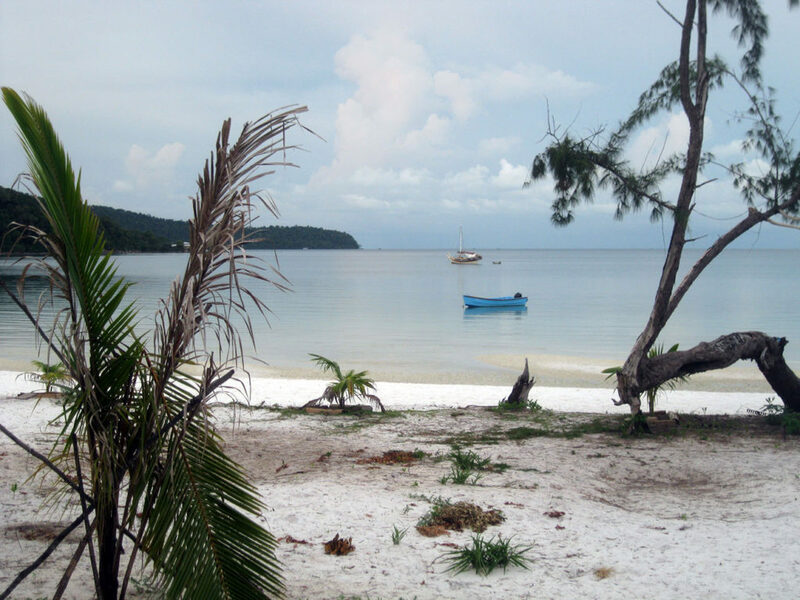 Again there are two options: the big Koh Rong with plenty of hotels, bars and limited parties and smaller Koh Rong Sanloem with fewer hotels and bars. We went to the small one, as we wanted to escape the crowds and the western way of having fun. The island is lush and dense. There are small paths through pristine tropical jungle that take you to several lovely beaches. We stayed at the biggest Saracen Bay beach (we don’t like too much isolation) and loved every moment of it. Our days were spent walking through the forest to isolated Lazy beach watching monkeys happily jump from tree to tree. We planned on visiting Gili Islands in Indonesia, but since we had some trouble with logistics we decided to shorten our trip and go back to Cambodia. We didn’t skip Bali though. The island is stunning, but practically ruined by massive construction. It’s not worth visiting if you are just looking for a beach. The northern part of the island is simply gorgeous, so we regret not having spent more time there. While overly touristic Kuta is populated by fancy hotels next to the sewage going directly into the sea, Seminyak beach is a bit better. It is still quite crowded, but we felt the tourist infrastructure and people are somewhat nicer. Be sure to check the forecast since waves can get dangerous at some point in the year. When you think of Vietnam you don’t immediately think of a perfect beach destination. Perhaps for the most part you’re right. However, the country has several beaches that will surprise you greatly. 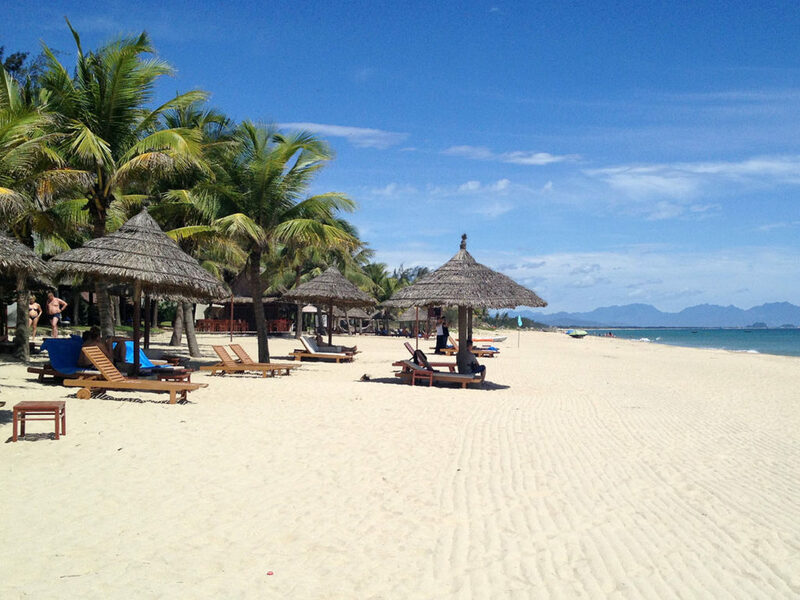 One of them is Cua Dai beach, near Hoi An, an outstanding heritage town in central Vietnam. Just imagine our luck! After walking the whole day among beautiful old architecture we realized we were pretty close to the beach. In fact, it’s a 30 km long sand stripe, stretching all the way to Danang, Vietnam’s third largest city. Locals go there and have a good time the Vietnamese way, swimming and rowing on round boats. We dipped into the sea and had delicious food. The food all around Vietnam is truly delicious. 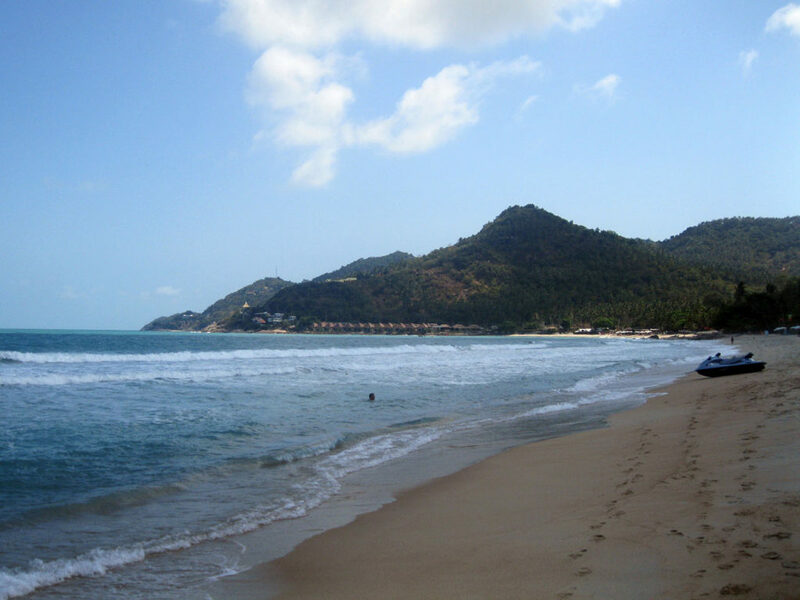 Nha Trang is the only large beach town we visited around Southeast Asia. With a population of almost half a million people, it is in fact a large city full of skyscrapers. But surprisingly enough the place is great! 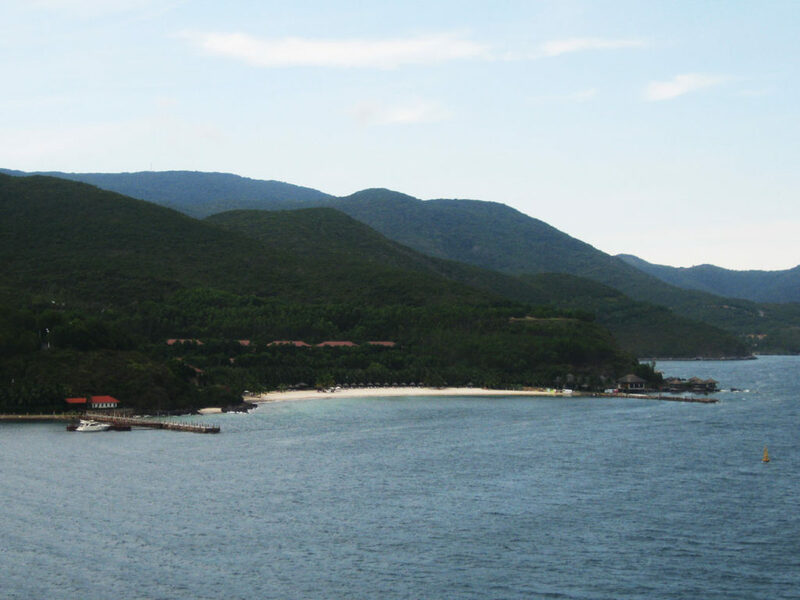 Yes, massive tourism is there, but Nha Trang is so big, you can actually have some privacy. Though the city beach is nice, we liked the one on the Vinpearl Island better. Located just south of the city it is an island turned amusement park. You can get there by a bus and a cable car across the sea. How to forget the views from the futuristic ride in the cable car? The Park offers plenty of fun and an access to a beautiful beach from where you can see Nha Trang’s towers in the distance. The Camotes Islands are some of our biggest discoveries in Southeast Asia. 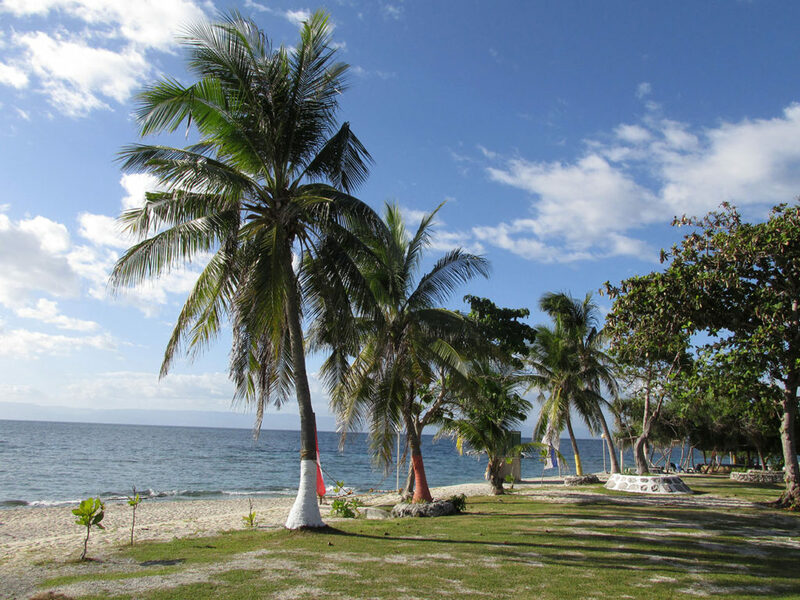 Located just off the coast of densely inhabited Cebu Island they offer a completely secluded feel and several splendid pristine beaches. We chose the biggest one, Santiago Bay beach on Pacijan Island, for its beauty and tourist infrastructure. The beach is relatively large and there is one hotel and many guesthouses and restaurants. The abundant sea flora and fauna make it a great spot to snorkel and dive. The two main islands are sparsely populated with just one small town, next to the bridge that connects them. Another great Philippine discovery is the tiny Balacasag Island near Bohol. A narrow sandy beach surrounds the entire island. The best thing is that there is just one hotel, and a village. That’s what we call luxury! The island is easily reachable from nearby Panglao Island (Bohol twin island), yet it feels pretty isolated. It houses the Balicasag Marine Sanctuary, a collection of corals and a plethora of sea vegetation and colorful fish. We walked to the eastern side of the island and took a small boat with an expert guide to see cute giant turtles. Other than that, there is not much to do, so Balicasag is a perfect place to indulge in nature and recharge your batteries. Perhaps the most spectacular beaches in all of Southeast Asia lie around el Nido in Palawan Island. Unlike Railay West beach which is surrounded by Karst Mountains in el Nido the mountains are in front, through numerous islands. 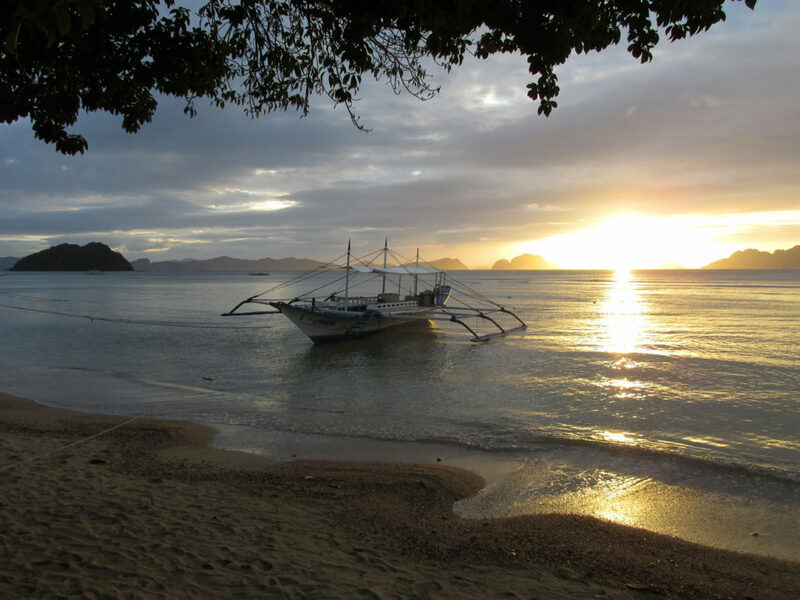 The town of el Nido is not especially nice, with small crowded beaches, but it offers great bars and restaurants. Corong Corong, on the other side is home to a beautiful sandy beach, and has a quieter atmosphere. 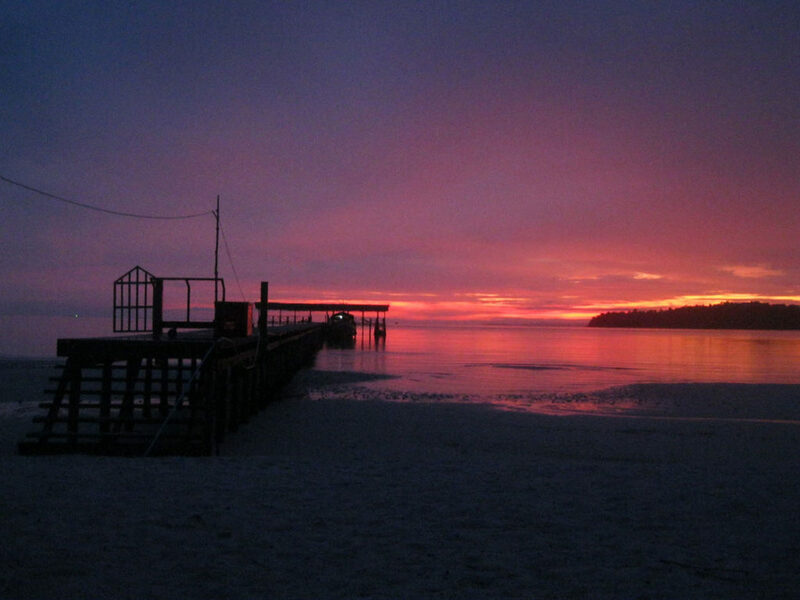 It is also a great place to watch killer sunsets. For the best landscapes you should take one of the numerous boat trips or excursions. No picture can fully capture the colors in El Nido. The hundreds of different shades of blue work magic on your mind.